Rockstar has a habit of pilfering Hollywood style and pizzazz -- along with Hollywood performers -- for their gigantic sandbox games that mimic genre fare along the lines of Scarface, Chinatown, and Heat. And while there have been big studio-financed adaptations of triple-A games in recent memory, somehow none have touched the level of polish and awareness that goes with a Grand Theft Auto title. And in terms of characters, Grand Theft Auto V was an embarrassment of riches regarding the three playable protagonists and their supporting ensemble rolling around Los Santos and the surrounding area. Now, it's obvious to gamers and those of us who hold a fondness for actors at heart: the best way to cast a film out of GTA V is to simply leave it as is. The motion capture and voice acting was great, and the actors who portrayed our despicable avatars pulled off a huge win for the gaming community by bringing a spectacle that rivaled any crime film cast of 2013. But ask a Hollywood executive, and you'll be told the hard truth that no film is greenlit without a bankable cast and a built-in fanbase. 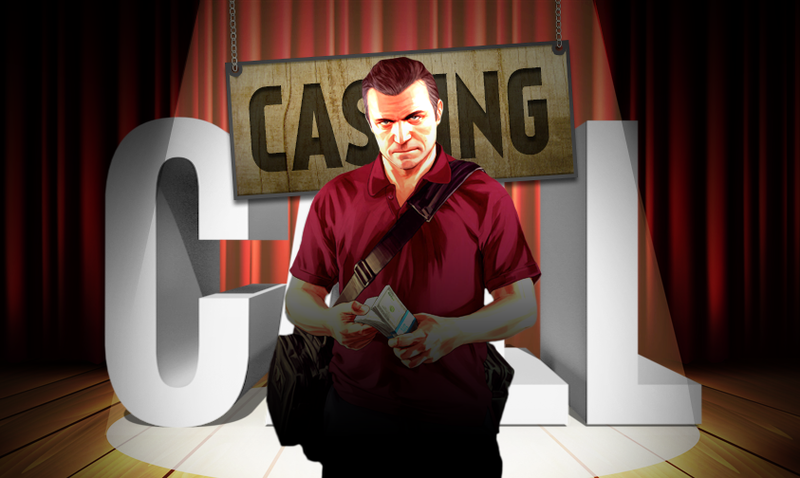 While GTA has the latter in spades, what kind of cast would make the GTA V story pop on the big screen? Well, just so we have a view from both angles, here's who Hollywood would cast and who really should be cast according to my brain. Not only has this sneering tough guy made a career out of playing raspy-voiced outlaws like our husband/father/thief/killer/traitor, such as Budd in Kill Bill and Mr. Blonde in Reservoir Dogs, but he's also a studio's pick primarily because he's not above doing a video game adaptation. He was, for instance, in Bloodrayne. Say what you want about that movie and director Uwe Boll... seriously, say what you want. I'll wait. But video game adaptations are where careers like Madsen's go these days. 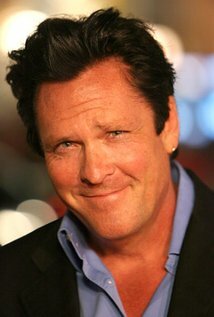 Sure, in a perfect world, Michael would be played by Michael Madsen... circa 1995 or so. But the former Mr. Blonde hasn't exactly aged like Bruce Willis, and it's a pretty tall order to ask him to pull on a wetsuit and get into fistfights with men half his age (which is pushing 60). 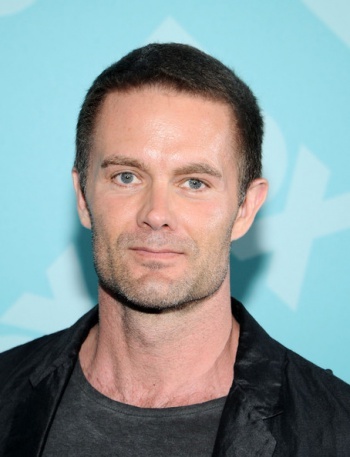 Now, brilliant character actor and all-around hardass Garret Dillahunt is believable as both the family man he was on "Raising Hope" for four seasons and the unstoppable violence machine he's been continually called for by "Terminator: The Sarah Conner Chronicles" and "Deadwood," among others. What's more, Dillahunt has the versatility required to play the most stylistically fluid of the three protagonists. Michael is somehow natural in a ski parka robbing a Fargo-like betting bunker with an assault rifle, playing tennis in the ritzy suburbs, or infiltrating a military facility and stealing biological weapons. Dillahunt has done all of those things already on television, I'm pretty sure.